In Concord, North Carolina, an accident was reported outside the Rocky River Elementary School. The automobile accident involves a school bus and a day care center bus. The day care center bus driver will be charged with failure to yield. The children on the day care center bus were being transported with or for The Sunshine House Day Care Center. When transporting children, it is vital that school bus drivers and day care center bus / van drivers obey traffic signals, speed limits, and road signs. It is important that the driver stay alert and limit any distractions including loud radios, cell phone use, and text messaging. While it is impossible to prevent all accidents from taking place, it is possible to prevent many accidents by driving safe and following this simple advice. 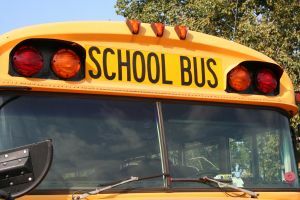 You can read more about this story at North Carolina School Bus – Day Care Center Bus Collide in Concord North Carolina.